Normal service was resumed at the Paul Ricard circuit as Mario Andretti secured his third win in four starts in the French Grand Prix in front of a record 100,000 spectators. After the upheaval of the previous round in Sweden caused by the Brabham fan car, it was as you were in France. 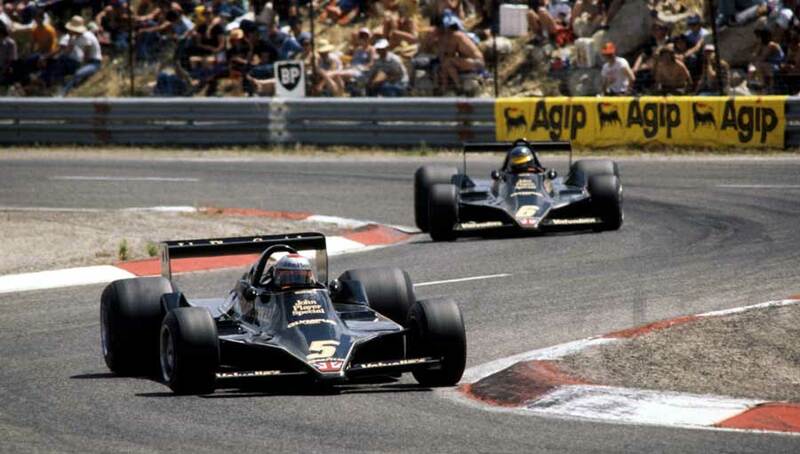 The Brabham was banned and it was back to the Lotus dominance as Andretti and Ronnie Peterson again completed a 1-2 finish. John Watson's Brabham-Alfa Romeo led the race with Andretti slotting in behind him, but Watson failed to make the most of his pole position and was unable to hold off the American for long after the start. Andretti powered past Watson on the long and fast Mistral Straight and started to build a lead as Lauda took second from Watson who was struggling for grip. Peterson worked his way into contention and jumped both Brabhams in the second Lotus while Hunt also forced his way through the field despite being held up by team-mate Tambay who was heading to the pit with a puncture. Hunt, slowly finding form after a wretched start to the season, moved up from sixth to third and for a time was all over Peterson, who was suffering from oversteer. He remained in touch until the final lap when he was physically sick, causing him to drop back, although he was far enough ahead of the field to hold on to third. It was his only podium of the season and the last of his career. Carlos Reutemann's faltering title challenge took another backward step when he had to pit five times for replacement tyres, as did Ferrari team-mate Gilles Villeneuve. Reutemann's only consolation came when he set the fastest lap of the day on his final lap. "It's getting harder all the time," Andretti, whose win opened a 20-point gap over Peterson in the drivers' championship, said. "There was no time to play games today. It was a hard go all the way."